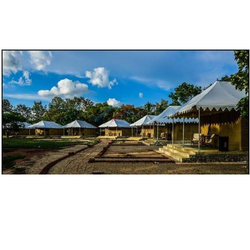 Our organization specializes in offering a qualitative range of swiss cottage bathroom tent to our clients. 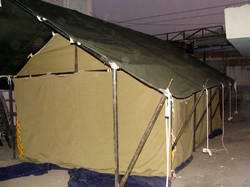 These are fabricated using best grade cotton fabric and work well in tough and cold environments. The resort boasts of two picturesque villas, called Apricot and Coconut. Each villa comes with two separate bedrooms, an open porch that gives you the beautiful view of the lake.